10k and 5k runs are one of the most popular distance events, so whether you are ready to conquer a marathon and looking for suitable races to train or just keen to participate in your very first event, you will find a race that is perfect for you. Follow flat, traffic-free route around beautiful Dinton Pastures Country Park, that offers a perfect venue to clock up 5k or go round twice for 10k. The race is suitable for runners with all abilities. If you enter more than one race you`ve a great chance of seeing that PB come down month by month. Great event for the whole family, choose between 10k or 5k and let your kids complete a Fun Run (adults are able to run Fun Run as well). All of the routes based in and around Marlow Bottom, taking in some of the wonderful countryside and footpaths. The race is a fantastic opportunity to get together with friends, family or colleagues and compete against each other at the stunning Dorney Lake. Whatever your level of running is this event is suitable for all. FixAddiction Triathlon taking place on the same date, so something for everyone. Runners and Superheroes are welcome to join the race at Astley Cooper School, Hemel Hempstead. Spend time with your kids in the company of Wonderwoman, Batman, Bananaman and others. Face painting, bouncy castle and much more is waiting for you. The event is raising money to help care for local patients who have been diagnosed with cancer or another life-limiting illness. The event with a great route, good organisation and fantastic marshalling will be perfect for everyone from novice runners to competitive athletes. 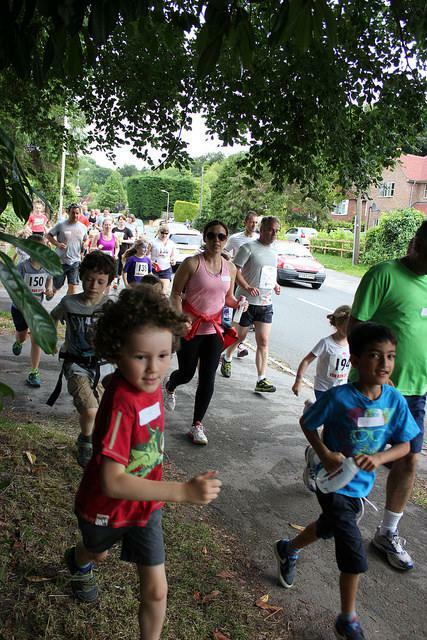 Take part in the 5k or 10k routes, which both wind their way around the leafy Hertfordshire town of Bushey itself or Junior Races, which will be immediately after the Adult 10k has finished, so the whole family can be involved and watch each other. Get all your friends and join a stunning flat and fast 10k run. Running along the riverside from Richmond towards Kingston and back you have views of the river for most of the way, so the location is amazing and the scenery is stunning. You have an option to fundraise and run for Macmillan Cancer Support. Running the 10k route you will enjoy iconic surroundings of London`s Regent`s Park. The race is suitable for both experienced runners and beginners. You can help to support ChildHope, who work with local partners in Africa, Asia and South America helping children transform their future. I hope you found useful information for yourself! Follow event pages, share your photos and race reports with our community to inspire and motivate others. I am a community manager at Racemappr, the online platform which helps people discover their next sporting challenge, from organised club races to the biggest mass participation events. Search by sports like running, triathlon, swimming, cycling and obstacle race. It simplifies event search based on location and allows organisers to connect directly with the race community. Feel free to get in touch in the comments. Get inspired, and discover your next challenge at Racemappr. And thank you Valeriia for sharing your story with us.